If you like Japanese curry and rice, you’ll love this simple and excellent shop at the south end of Amerika-Mura. There are tons of great choices, including some vegetarian options. Japanese-style curry can be hit or miss. At its worst, it’s thick, one-note, and too salty, like it came straight out of a store-bought curry roux mix. But at its best, it’s a gloriously flavourful, umami-packed sauce with gently spicy depths - all without setting your mouth on fire. 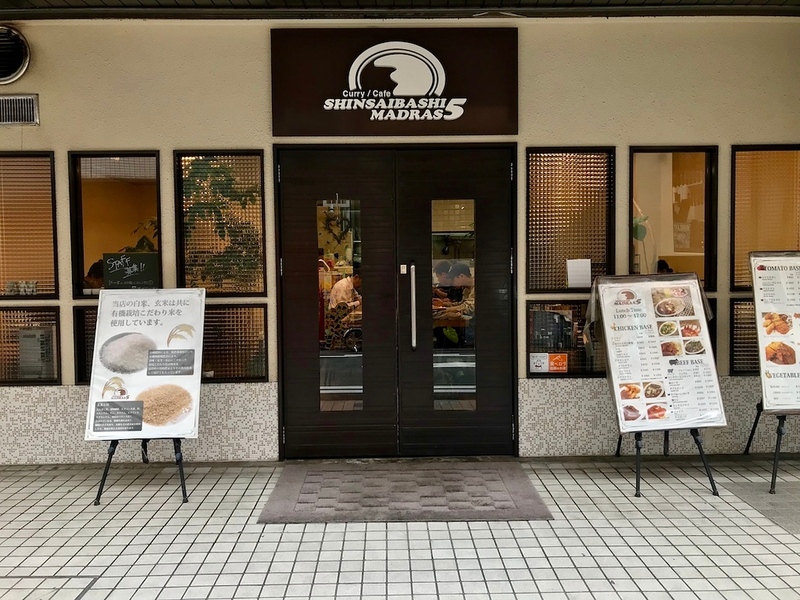 Luckily, Shinsaibashi Madras 5 in Amemura showcases Japanese-style curry at its best. Think a mound of rice blanketed in a velvety curry sauces - you can choose from tomato, beef, or chicken-based curries - and you’re getting close. Unless you’re vegetarian, you should almost certainly order additional toppings like katsu chicken or pork (breaded and fried cutlets), or cheese. If you’re feeling a little bit virtuous, you might want to try it with brown rice for a nutty twist. The tomato-based curry is vegan-friendly, which is great for those with certain dietary requirements. If you’ve never tried this kind of curry, Shinsaibashi Madras 5 is a good place as any to give it a go. 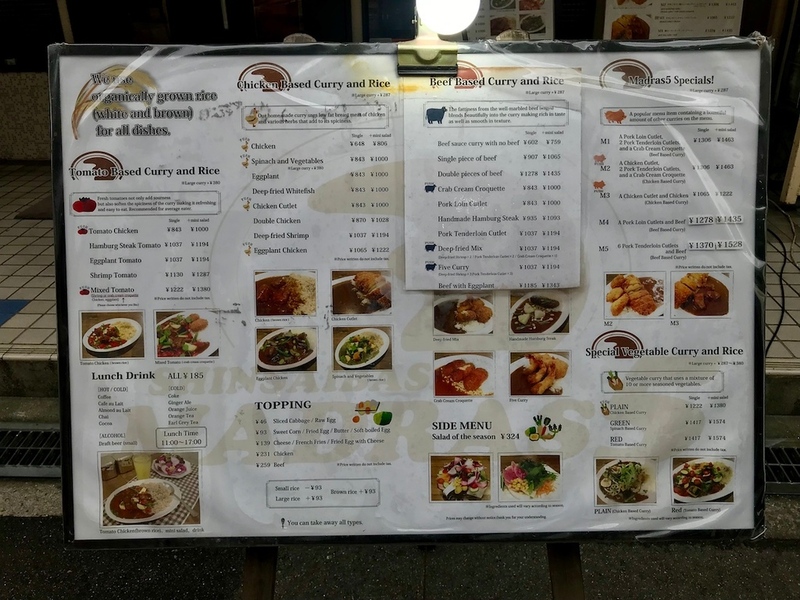 As Japanese-style curry tends to be quite mild on the heat, this restaurant is especially good for people who can’t really tolerate spicy food. Subway and Train: 4-minute walk from exit 26-D of Namba Station. :: Read customer reviews of Shinsaibashi Madras 5 on TripAdvisor. Shinsaibashi Madras 5 is located in Osaka's Minami district. See our complete list of things to do in the Minami district, including places to eat, nightlife and places to stay.